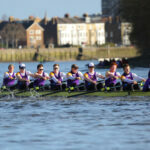 ULBC travels to BUCS Regatta this weekend with 42 crews entered in men’s, women’s, open weight, lightweight, sweep and sculling events. 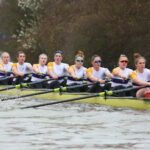 UL will be looking to build upon the success achieved at BUCS Head earlier this year, where UL athletes returned with a total of 72 medals, the Women’s team trophy and Gold in the Women’s Championship Eights and Championship Quads. Racing starts Saturday morning. Click here for the racing program. There will be a supporters tent in Nottingham for family & friends of athletes and alumni. Last weekend UL athletes raced at the final GB Rowing Team small boat assessment. Sara Parfett (UCL) made the A final, racing amongst the Senior team’s top pairings. Ally French (Birkbeck) and Georgia Statham (UCL) were the fastest U23 Women’s Pair. 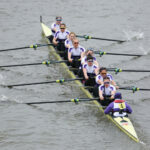 Robyn Hart-Winks (UCL) and 2016 World Champion Emily Craig (Courtauld – alumni) placed 3rd and 4th respectively in the Lightweight Women’s 1x A final. Paddy Sullivan (UCL), Josh Kent (UCL) and U23 Silver medalist Charlotte Hodgkins-Byrne (Royal Holloway) also performed well enough to be involved in further testing. Testing and crew formation will continue over the coming months but the strong set of results should hopefully mean UL athletes will compete at the Senior and U23 World Championships this summer.